I can recall a specific fall evening; the windows were open, and I was perusing YouTube in search for new music. I clicked hopelessly through several links until I came across Audiotree’s Far Out Sessions and low and behold, there was Liz Cooper playing Motions on her gorgeous Creston Spruce Custom guitar amidst a coffee roastery. The implied warm scent of the roasting beans along with her melodic picking pattern stopped me where I stood. I knew that I had found something of great caliber. Fast forward and I found myself standing among a sold-out crowd only feet away from the magic I had fallen in love with a year prior. 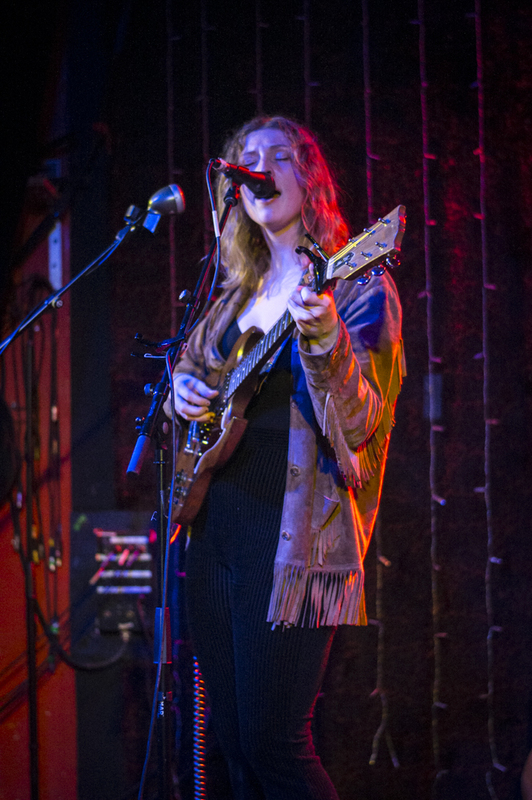 Liz Cooper and the Stampede played The Earl in East Atlanta on January 25th, 2019 and it’s a night I won't dare forget. Being that they played at The Earl, the entire experience was intimate. 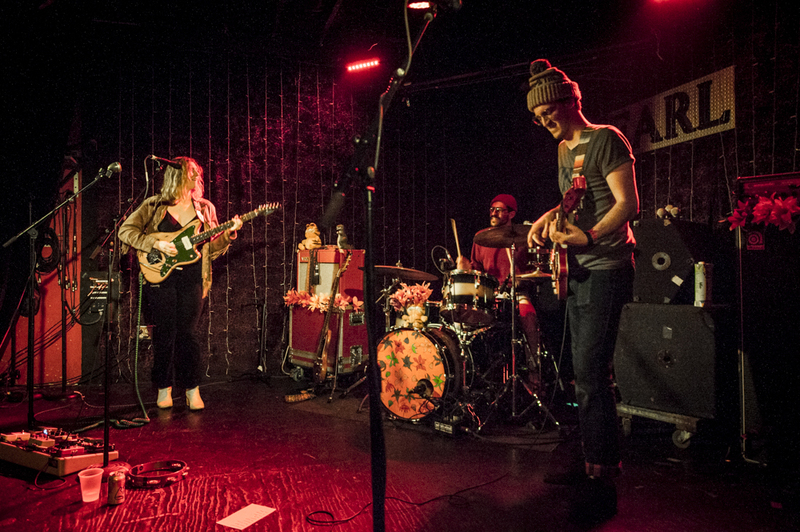 From Liz hand decorating the amps with an explosion of plastic flowers and a stuffed Garfield or two to throwing live daisies to the crowd in reference to their debut album Window Flowers as they took the stage to Harry Belafonte’s “Banana Boat Song”. During their very first song “Sleepyhead’, the chemistry between lead vocalist and guitarist Liz, bassist Grant Prettyman, and drummer Ryan Usher was palpable, each of them a character of their own. With smiles and antics alike, the evening was filled with character, laughter, and the best psychedelic melodies I have heard in years. The riffs were dynamic and the rhythm paced itself throughout the evening. Liz Cooper has a distinct sound and style. Her music is like that of an enchanting dance partner, a strong leading counterpart that’s brave, supportive and knows exactly how the body moves and where each step should go while allowing enough freedom and room for creativity and interpretation; It envelops and dances with your soul. With that said, it’s also complex. Her music is the kind of music that you lose yourself in while lying on the floor staring at the ceiling as you trip down the lane of nostalgia and emotion. Their performance was outstanding as each song was flawlessly executed and well received by a cheerful and supportive crowd who sang along throughout the entire evening. Liz Cooper and the Stampede are a breath of fresh air. Keep your eye on this group, they’re not something that should be missed.